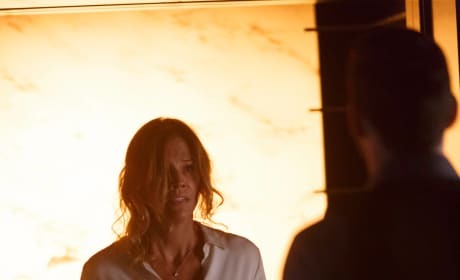 Lucifer's mom doesn't look like she's doing too well. What happened and why is he holding her in his arms? 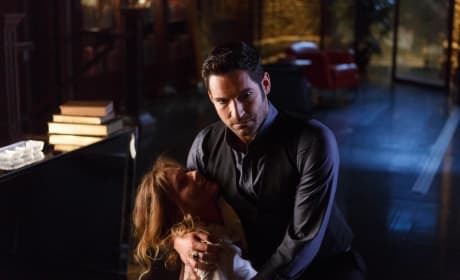 Lucifer didn't have to wait long for his mom to find him. What sort of wrath will she unleash upon him? 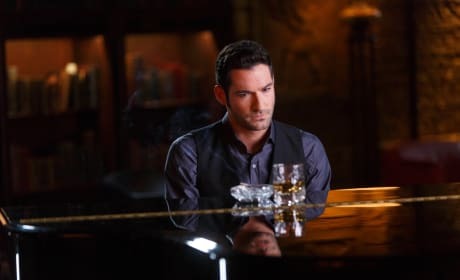 We're going to guess that Lucifer is not singing something upbeat at the moment. With everything on his mind, he's probably singing the blues. 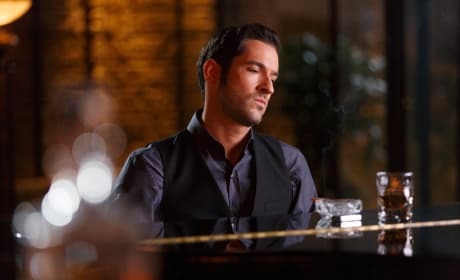 Will we be seeing more of Lucifer singing this season? We hope so!! He's got a fantastic voice, even if he's looking a little sad right now! Wherever Maze has been, it doesn't look like she's saying much. 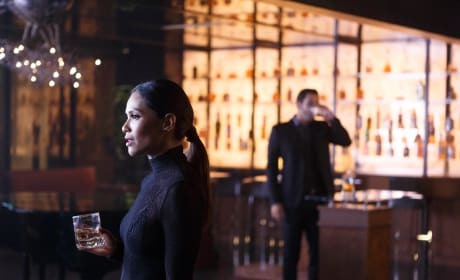 Maze needed to do whatever she needed to do and Lucifer and Amenadiel are going to just have to deal with it. Maze was missing, but now she's back. Where has she been? 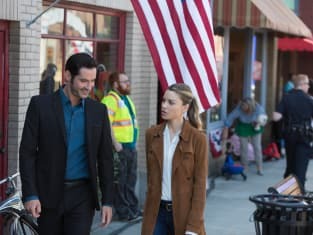 Could she have been helping Lucifer's mom? Considering how morose Lucifer is, it's kind of strange that Amenadiel has such a big grin on his face. Does he know something Lucifer doesn't? 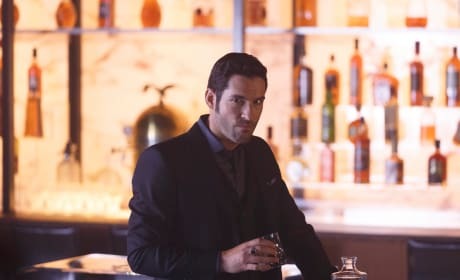 After the stress of the day, Lucifer looks glad to be back at the Lux, but it doesn't seem like a stiff drink is helping his anxiety about his mother. 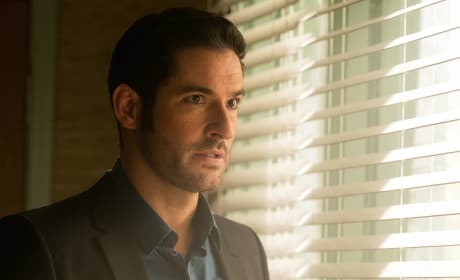 Did Lucifer see his mom? Does he even know what his mother looks like right now? Maybe Lucifer is going to just pack it up and get out of L.A. 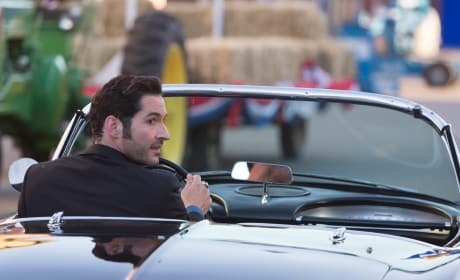 Even next to his snazzy car, Lucifer is looking concerned. His mom is definitely weighing on his mind. What could she have possibly done to get herself locked up in Hell? 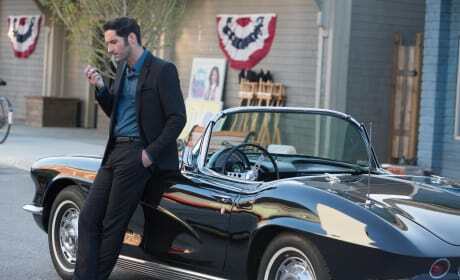 Lucifer seems to be having an intense conversation with someone. He does not look like he's having any sort of fun. 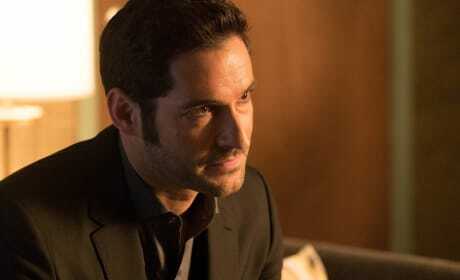 Despite all the fun he's probably having with Chloe, Lucifer has bigger problems. He certainly looks very concerned here. Has he found mom?